I suspect that changes in the pronunciations of individual English words are happening more quickly than they ever did in the past now that we have the auditory global village braut about by the universality of sound recording equipment nowadays. I think I may have detected an example of this on the second of this month when I heard a BBC Radio 4 broadcast in a series called In Our Time on the subject of the seventeenth century “metaphysical” poets. There were four speakers involved. The chairman was Lord Melvin Bragg, whose speech has perceptible traces of Cumbrian influence, and three scholars with chairs at British universities. These were firstly Thomas Healy who exhibited an unusual mixture of intermittently high-rhoticity American and somewhat socially conspicuous British features which I found very faintly reminiscent of the notorious Loyd Grossman. The second, Julie Sanders, exhibited a perfectly ord’nry General British (perhaps vaguely southeastern) accent of the distinctly younger (under 40) generation. The third, Thomas Cain, had a noticeably older style generally quite neutral but leaving me with the slight suggestion of the odd faint trace of a Lancashire background. Now I come to the thing that struck me as strange. All four of them, three of them of course authorities on the subject of the discussion, pronounced the surname of the very well known poet Andrew Marvell in a way I have no recollection of ever having heard before as /mɑː`vel/. Their authority is likely to influence numbers of their students to adopt the same version and in a generation or so it cd be that the traditional pronunciation may become old-fashioned. There is no trace of this new version in any reference book I’ve consulted: LPD3, EPD and ODP all give /`mɑːvəl/ and that alone. There is no trace of it in my oldish (1966) American Random House Dictionary tho one feels that its adoption has something at least parallel with the American perception of the word as a borrowing from French — which of course it is very likely to have been even as a surname. EPD didnt record similar late stressing for Purcell till 1977: it’s now been common for a long time. the reference was to my Item 4 § 3.9 on this website "Suggestionisms" – a 'Banned' Lecture" subtitled "Rhythmic etc distortions of English speech and their consequent involuntary false impressions" where a whole family of “Kings” was mentioned. A correspondent has recently prompted me to offer an explanation of the matter of my regular indication of word stress patterns by using intonation symbols rather than the officially recommended stress marks of the International Phonetic Association. I do this for more than one reason. One of these is that stress in English words can be a pretty complex subject not least because the very word stress has been used with such a variety of significations as to make it problematic. This is a matter adverted to by Alan Cruttenden in his admirable revision of the Gimson Introduction to the Pronunciation of English (eg at §3.2.4 p.23 of the seventh edition renamed as Gimson’s Pronunciation of English) in which he notes that he completely avoids even using the word "stress". He indicates word accentual patterns in the same way. See also Cruttenden/Gimson seventh edition at pp xvii and 264 (footnote). I may say that I don’t consider this in any way an infringement of the principles of the IPA but merely an alternative choice open to its adherents to offer information to their readers in a way which they may prefer to employ. If one shows for a word how it is spoken by simply indicating the pitch pattern used in saying it that information comes free from any baggage of theoretical stress etc matters. My adoption of this method could be seen in print in 1969 in my Guide to English Pronunciation. Its inspiration was the work of Roger Kingdon who had demonstrated it so effectively in his 1954 Groundwork of English Stress. I was particularly attracted to his system of “tonetic stress marks” as Kingdon called them also by its technical typographical advantages in that its distinctiveness and legibility were of superior effectiveness to the authorised IPA tonic stress mark because it occupies more horizontal space. Also typographically desirable to my mind are the way Kingdon’s very simple system provides better legibility in that pre-tonic syllables are indicated at a more comfortably perceptible higher level than by the IPA secondary stress marks. I was glad to be able to use the system in my 1972 Concise Pronouncing Dictionary, which I consider was second to none for legibility, and also in the 1974 third edition of the Oxford Advanced Learner’s Dictionary of Current English. Gimson, who later took over from me responsibility for the pronunciations in that dictionary, preferred to restore the IPA recommended style in it which it has to this day under Michael Ashby. I am still of opinion that at least the typographical considerations involved outweighed the advantages of complete harmony with the pronunciation indications in dictionaries in general. Just about a month ago (on May the 30th to be exact) the latest ie seventh edition was published of the Gimson Introduction to the pronunciation of English as “revised” by Alan Cruttenden. Sensibly slimmed in its title to Gimson’s Pronunciation of English revised by Alan Cruttenden, it’s really rather misleading to merely call it a “revision”. In fact what we have now is a third and better than ever re-casting, rewriting, amplification and extensive updating which is actually a very considerable improvement on the original amounting to full co-authorship. Particularly interesting, as the new Foreword indicates, is the fact that the consonantal articulatory figures have now been improved or (most often) confirmed in their suitability by checking against frames taken from dynamic magnetic resonance imaging scans of fifteen phrases designed to include all the consonants and vowels of English, a notable advance on the use of static x-ray photographs. We are promised very soon to be able to see such films on a website being prepared to accompany the book. Look out any time now for the workbook, sound files and MRI videos to be accessed free at www.hodderplus.com/linguistics. Also to be greeted warmly is a virtually new chapter now titled Teaching and Learning English as an Additional Language occasioned by the way the “status of English in the world has hugely changed since the publication of the first edition in 1962”. This sets out to “reflect present-day usage of English as a world language in presenting two alternative targets to RP ... for those learning English as an additional ... language and for those using English as a lingua franca”. The accounts of other varieties, including General American, Scottish, London, Northern and Caribbean much enlarge upon Gimson's few remarks and the novel concept is introduced of “Regional RPs”. Cruttenden goes out of his way to point out throughout the book that he agrees with the general judgement of what he calls “Refined RP”, ie socially conspicuous “posh” varieties, as outdated and figures of fun. As he says “Since this book was first written, the number of users of English as an additional language has grown exponentially.” Consequently we find occurrences of new expressions like the abbreviation ELF (English as a lingua franca) and Amalgam English ie an “amalgam of native-speaker Englishes, together with some local features arising from a local L1” and, in a new definition, International English. The overall impression of the text is that the graphics are better than ever (for example there are now thirty vowel diagrams all either new or re-drawn) and the general styling of the text is more user-friendly than ever. There can be no doubt that this book is still the most indispensable account of British English phonetics in existence. In Latin we have adjectives 'acidus, 'gelidus, 'rapidus, 'solidus. The suffix -id- has a short vowel, therefore stress goes on the antepenultimate. Correspondingly, in Italian (and also in Spanish) it’s ácido, gélido, rápido, sólido; in English acid, gelid, rapid, solid ˈæsɪd, ˈdʒelɪd, ˈræpɪd, ˈsɒlɪd ... Where’s the problem? Why would anyone suppose that the stress fell on a different vowel in Italian? John's question was triggered by his hearing the Puccini aria Che gelida manina announced on Classic FM with the stressing /ʤɛˈliːda/. I can certainly confirm his impression that such choices are constantly made by native English speakers. In the past I've heard that very one myself. Basically his question is why shd people not be guided by the analogies they find in their own language. The answer is that (a) they are aware or have the vague impression that the words in question belong to Romance languages and (b) in most such languages there is the vastly more frequent alternative analogy of the amphibrach with the stress pattern [– `— –]. This is extremely familiar especially in huge numbers of diminutives from albino and casino to mosquito and zucchini. (Not to mention items like bravado, desperado, libido, querido, tornado and torpedo.) Ergo English speakers generalise this pattern rather than the other much less frequent one. The tendency can be seen in eg the placename Cordova where, although all the various places so called throughout the Spanish-speaking world are accented Córdoba, all the half-dozen places so called in North America are given amphibrachic accentuation. Many Italian, Spanish and other words and names are either often or regularly amphibrachicised by English-speakers including angora (now replaced as a city name by Ankara which is not so treated) Brindisi, Cagliari, Cyrano, Desdemona, Genoa, incognito, Lepanto, Lipari, Maritimo, mascara, Medici (tho the singular medico is usually not so stressed), Modena, Monaco, Otranto, paprika, rococo, stigmata, Stromboli, Taranto, tombola, Trafalgar etc. The word oregano is amphibrachicised in Britain but not in America where Spanish is better known. More on this topic may be found on this site at Italian Words in Spoken English Item 9 §4. Since I posted my blog 104 of the 15th of June 2008 welcoming the BBC Wales Web pages on Welsh placenames' origins and pronunciations there've been a couple of postings from John Wells on the topic of the pronunciations to be heard at them of the Welsh sound represented by the double-l spelling. I've no idea how long these pages have been available but I had just chanced upon them in the course of looking generally at what the BBC Website had to say about matters of pronunciation. Also one has no idea who was responsible for them because their authorship is unfortunately unattributed. The double-l-sound remark was only one of ten or more comments I made mainly suggesting possible improvements. Incident'ly I didnt mention on that occasion three other apparently anomalous pronunciations employed by their speaker viz he had /d/ not /ð/ in Pontarddulais and used /-`iːrɒn/ in Aberaeron and /-kaɪr`i:n-/ in Llanfaircaereinion. Altogether he seemed to have been a somewhat unsatisfactory model for "audio intended for Welsh learners". To my ear, and to the ears of my Welsh-speaking colleagues here at BBC Wales Education & Learning, we cannot discern a problem with the pronunciation of the letter "ll" on BBC Wales' pronunciation guide. He didnt mention how many colleagues were involved or what parts of Wales he, his model speaker or they came from so we can't begin to contemplate whether we might be hearing a regionalism. What I did find fascinating was that in fairly casually initial listening, after having noticed the particularly obvious palatal fricatives in the items I quoted (Benllech and Machynlleth), continuing with the other twenty-five or so names where one expected to hear /ɬ/, I had certainly not had the reaction that they sounded un-Welsh. They definitely sounded un-Anglicised so they wd perhaps be not such unsuitable models after all. Yet they are plainly a minority usage if not idiosyncratic. John's suggestion that we might be witnessing a Welsh sound change in progress wd need some extensive investigation to come to a conclusion on. It's interesting that this phenomenon seems to have been unnoticed hitherto. Finally I shd say that on closer listening I found it often quite difficult to hear whether any lateral element was audible in many of the items but there seemed to be some at least at eg Llangwm and possibly Llandrindod. I hope anyone interested in this topic has noticed that at this address on my main Website there is an article entitled A Notable Welsh Sound: Section 9 Item 1. Sub-varieties of GB aka "RP"
My blog of 27 May 08 ended with the remark concerning words ending like happy "GB speakers have sub-varieties in which one group regularly favours final /ɪ/ in practically all circumstances, another usually only has /i/ and a third has /i/ in happy but /ɪ/ in policies etc". Since then I've had occasion to hear the speech of (Baron) Harry Woolf Lord Chief Justice of England and Wales from 2000 until 2005. He attended the Edinburgh Fettes “public” school (as did Tony Blair) and his speech has no easily detectable affiliation with any region of Great Britain. However, he very noticeably belongs to a relatively small minority of such speakers who seem to have in the terminations most usually spelt -ed and -es the vowel schwa. He refers to his old school with the same pronunciation as, one doesnt doubt, he accords to the word “fetters”. However, when one turned to the text of the 1977 EPD, one found no listing of a schwa plural variant of box etc. And to this day Roach et al havnt admitted such schwa plurals to EPD and have made no comment on this topic. On the other hand Wells has shown such schwas in LPD since its 1990 first edition. He seems plainly justified. As examples of such speakers one can cite in the field of phonetics Professor John Laver and the distinguished textbook author Leslie Hill. In public life one can cite the actor Sir Alan Bates, at the BBC the radio newsreader Alison Rooper (pronounced 'Roper'!) and music presenter Penny Gore, Lord Fawsley (Norman St John-Stevas) and so on. I have something of an impression that one is quite likely to meet this pronunciation feature in alumni of Roman Catholic public schools. I imagine this to be possibly due to the influence of Irish teaching staff at such institutions. Other examples seem to be associated with mainly tho not exclusively northerly counties such as Derbyshire. Clearly Jones was so far from considering such usages as admissible to his definition of "RP" that he didnt even take the trouble to explicitly exclude them in the way he had excluded -less and -ness with schwa and various other items notably in the 1956 last edition of EPD for which he was solely responsible where at p. xxix he commented on them that they "cannot properly be regarded as coming within the limits of what should be included in this Dictionary". I am sorry that Jack Windsor Lewis took exception to my light-hearted and tongue-in-cheek references to RP last week (blog, 12 June). These words of mine were applied, I trust it was perfectly clear, to the content of the newspaper film review he quoted and not at all to any remark of his own. However, I’m relieved that he’s now made it completely clear that his comments on that occasion were tongue-in-cheek because I feared that some less than highly sophisticated members of his readership might possibly have failed to perceive his irony. Similarly clumsy to the remarks of the reviewer which were the subject of the above discussion are the introductory comments accompanying an audio clip to be found at the BBC Homepage if you search for the crude title The dying accent of England. 'Received Pronunciation', once regarded as the benchmark of proper speech, is little heard these days. News Interactive found out how an RP accent would change the sound of one passage from Shakespeare's Julius Caesar. This item posted at 19 Aug 2005 is a pathetic attempt to make a point with three readings of fifteen-seconds-or-so each of the same extract. They don’t bother to give the text or even the Act and Scene reference. The readings differ very little. The first has a pronunciation [ɛʊt] for out and something like [strɑɪk] for strike but otherwise sounds pretty neutral. It’s not mentioned why there are three. The other two are also unremarkable except for both having a conspicuously fronted beginning to the diphthong of Rome something like [reʊm] in both cases but a bit fronter in the last than in the second which is of course rather old-fashioned and posh. No-one is credited with the readings or the feeble idea of using them. It’s not worth putting a link to the file here. There are better things on this BBC website: this one shd be discarded to make room for some more better ones. I plan to refer to some of the better stuff in the future. In this a single male speaker very clearly enunciates over 80 names which we gather have been asked for by listeners to BBC Wales (not just Welsh-language) programmes. The section is headed “How do I say...? You sent in some of the place names that you find difficult to pronounce. We've plotted them on a map and added a handy audio pronunciation”. To see each name you have to place the cursor over an arrowhead and click. To hear it you have to click on it again. These are, in places, uncomfortably crowded together. It wd be helpful if the names cd all be listed below, as they are at the etymologies map, and preferably given position plottings. The pronunciations are obviously those of a native speaker of Welsh (possibly from not far from Cardiganshire — Ceredigion if you will). A number of matters occurred to me in listening to them. 1. Taking them in alphabetical order, first comes Aberteifi where the spelling ei I hear in various words by our speaker as [eɪ]. I'm more familiar with this as [əɪ] or as [aɪ] but I presume this is now a widespread educated Welsh practice. A contrary opinion was expressed 80 years or so ago in Stephen Jones's 1926 Welsh Phonetic Reader. The same goes for Gorseinon, Llandeilo, Meifod, Portmeirion etc. 2. Secondly Beaumaris by our speaker is [ˈbjuːˎmarɪs]. In PDBN (the 1983 BBC Pronouncing Dictionary of British Names) that name is given as [bəʊˈmӕrɪs]. It was also so pronounced by Prof Hywel Wyn Owen in a video clip on an adjacent site. 3. Next at Benllech I hear for the ll not the expected lateral fricative [ɬ] but an unlateralised palatal fricative [ç]. I get the same impression at Machynlleth. 4. The next thing I noticed was spellings. Some occur in for me unexpected forms as when we get Betwsycoed instead of Bettws-y-Coed, Cricieth not Criccieth and Llanfaircaereinion instead of Llanfair Caereinion. Some of these are no dou’t at least partly misprints including LlanraeadrymMochant for Llanraeadr ym Mochnant and NantyMoel for Nant-y-Moel. 5. Next I found Clydach as [`klədax]. This is perfectly understandable on the part of the speaker who has the misfortune to be faced with a highly irregular spelling as we see confirmed at the thirteenth item of the «The Editors» set of BBC Pronunciation Unit recommendations posted 14 Aug 06 which sez "Today's pronunciation is the Welsh town Clydach, for which we recommend the pronunciation KLID-uhkh (kh as in Scottish "loch"). This recommendation, for use in English-language broadcasts, is based on the local Welsh pronunciation and was researched with a number of local sources." 6. The next item I comment on purely because it's a nice demonstration of the fact that Welsh spelling, tho much more regular than English, seems to have a similar problem to the one that is the biggest bugbear of English spelling, namely that it has no way of distinguishing /uː/ and /ʊ/. The word is Eglwyswrw which is rather daunting-looking to English speakers because it has three w's none of which represents a consonant — which is of course the only function w has in English. Anyway, the real problem is that the last two w's represent quite different sounds respectively much the same as English /ʊ/ and /uː/. The first is, taken with its following y, much like the initial element of the diphthong one is familiar with in English in a word like ruin /ruɪn/. 7. At Llanraeadr ym Mochnant I hear not the expected r-sound [ɬanreɪədər] but [ɬanheɪədər] with it replaced by [h]. 8. For Talgarth I remember from my youth that /tal`gɑːθ/ was the version in use among native English speakers in Glamorgan. Here, as in PDBN, we get /ˈtalgarθ/ tonologically [ˊˋtalgarθ] but tonetically [talˋgarθ] with an initial leap from a mid to a high pitch not with pitch change in the course of the first syllable. This example is a fascinating demonstration of a tonological difference between Welsh and English. Welsh lexical stress is conveyed by a rising-falling type of tone tonetically [tal`garθ] which, because most forms of English have a simple falling tone for lexical tonics, co-incides with the outline pitch pattern on this word in English of the reverse stressing. How do we easily recognise that the Welsh-influenced version is ˊˋTalgarth and not Talˋgarth. I guess its the rhythm not the pitches: in the Welsh style (which of course we have as a variant tonal choice in non-lexical contexts among many English native speakers) the fall comes suddenly, in the English lexical type (even if made with an identical pitch contour) we have a less rapid transition. I wonder whether the version I remember was a kind of anglicisation or adopted from a Welsh regional stressing. 9. At Treorchy I hear it as containing no r-sound and a (consequential) short stressed vowel [tri`ɒki]. 10. I cd hear no sound at all for Caerphilly or Penfro. Perhaps I shd add that I'm in no way a scholar or speaker of Welsh and must apologise in advance for any ignorant misconceptions I may have exhibited above. I have attempted long ago to read (at least in part) certain books in Welsh. My very modest interest in the language is partly due to the fact that my maternal grandmother was a native speaker of Welsh, being born at Carmarthen, and used the language until in her early teens she moved for the rest of her life to Cardiff — where I grew up. The few Welsh lessons I received at elementary school until the age of eleven made no recoverable impression on me. Of course as a student of phonetics Welsh pronunciation has been grist to my mill. Spot the mistake was the title of John Wells's phonetic blog of yesterday. He quoted some items he'd just come across from transcriptions by examinees which were penalized by the examiners saying These must be wrong, and candidates ought to know that they are wrong ... [Native speakers] are encouraged to transcribe their own accent (but must say what it is). The first one was /dʒeɪms/ for James which prompted me to wonder how they wdve considered that and the other item /njuːs/ for news if the candidate had sed he had a North Wales English accent. Most of the other items concerned pretty predictable things including being misled by the spelling but there were a couple that I found really interesting. One of these was /ˈdeɪŋdʒərəs/ for dangerous which looks pretty strange but oddly enough I'm sure wd pass quite unnoticed if actually used in a conversation. The other /ˈmӕnɪʒd/ for managed rather startled me because I've so often noted it in use by GB speakers that I think it constitutes a notable omission from the pronunciation dictionaries. Compare what I sed in my blog of the 20th of September 2007: I hear the version of management without the d-element as least as often as with it, despite its complete absence from any description of English pronunciation known to me. In today’s blog John quotes from a Guardian tv reviewer with a theme “the poshos are taking over...A few years ago, you couldn't get anywhere in TV without an incomprehensible regional accent; toffs were simply figures of fun.” I’m dismayed that John can think such cheap ignorant unsubstantiatable claptrap is worth a mention. John adds So perhaps RP is not in irrecoverable decline after all. That seems to suggest that he takes such comments seriously. One of one’s troubles with such remarks is to g’age how far John and his egregious television “critic” Mr Woolaston are talking about conspicuously upper-class accents or ordinary general non-regionally-affiliated speech which was what I thaut John meant by the unqualified term “RP” that he unfortunately has never seen fit to disembarrass himself of in his so rightly very influential writings. The present Cabinet contains for example David Miliband, Jack Straw, Hilary Benn, John Hutton and Harriet Harman who dont strike me as having noticeably more regional accents than various people in the Shadow Cabinet. The Woolaston remarks about prominent figures in television are even more nonsensical. Spelling Reform - Feasible or Futile? For something like a couple of centuries we’ve had around the English-speaking world societies dedicated to the reform of English spelling and by now they’ve got just about nowhere. Isnt it perhaps time we had some fresh thinking about what their aims are or should be. Why don’t we compare our problems over spelling with what happens in the world of spoken communication. There we can’t be bullied by editors, publishers, teachers, examining bodies and governments all colluding to decree how English is to be spelt even when it is a matter of perpetuating numerous irrationalities and glaringly inappropriate forms. A large amount of de-regulation of spelling might be a possible answer to the problem. These dictators get away with it because they are in positions where they can exercise control and they get support from the snobberies of very many of those who have climbed the ladder of education to points from where they can look down on those who havnt. If they tried to exercise the same dictatorship regarding people’s accents (and I’m not saying there arnt any monsters around who’d like to try and get away with attempting that) they’d be generally derided as control freaks. To dislodge them from their stranglehold on our spelling a start cd be made by having goverments decree that no pupil is to be penalised in any way if they employ a spelling which is unconventional but rational and thereby causes no difficulties of communication of an order greater at most than those with which we are all accustomed to deal in daily conversation with people who have different accents from ourselves. The same kind of decree wd no doubt at the same time have to be applied to government and other official publications which shd in due course be required to adopt large numbers of revised more rational spellings. I’m not for a moment suggesting the banning of any existing conventional spellings, however irrational they might be, by the many people who wd be certain to wish to continue to use them. If such a proposal were carried out we shd undoubtedly go thru an extended period — it might well be of generations — in which the current relative uniformity of our spellings was broken down. Inconsistencies of spelling wd be an important matter which wd have to be tolerated. Increasing the sizes of countless indexes to accommodate new spellings wd undoutedly be a major problem. It wd have to be accepted as respectable for educationists to produce versions of early teaching materials which for beginners substituted more regular spellings (for words which at present early learners stumble over) thereby encouraging them to make better progress in their reading skills. We shd also have to expect to see and be accepted various regional variations in spellings. For example, while continuing to countenance from any individual the present conventional spelling of the past tense of think as thought we shd be completely ready to accept it as thaut or thawt or thort. This kind of thing wd undoubtedly be objected to strongly by the majority of the present reading public who have powerful associations with such spellings as betokening very low grades of literacy and general education. Many people will no doubt think that these suggestions are just not worth the effort involved in carrying them out especially as we all now have spelling checkers and other facilities if we want them and obviously increasing numbers of people are simply no longer bothering with such flimmeries as apostrophes. Nevertheless, if we arnt willing to set our faces against such basically irrational frames of mind, I wonder whether the Spelling Society wd do better to pack its bags, go home and cease to bother to waste time on any more conferences such as they’ve recently had. Yesterday was the 94th anniversary of the birth of Kenneth L Pike perhaps the most remarkable of all American phoneticians. Some mystics may want to claim that there was transmigration of the spirit of Henry Sweet who’d died only a month or so earlier. Anyway Pike’s early masterpiece, his Phonetics of 1943, produced much the same thunderclap of originality as had Sweet’s Handbook of Phonetics in 1877. He died on the 31st of December 2000. I remember discussing Jones’s attitude to Pike with Gimson. It’s perhaps surprising that Pike had no detectable influence on Daniel Jones who, in the bibliography to his book The Phoneme (1950) didnt mention him at all and in his Outline of English Phonetics (last revision 1956) only mentioned Pike’s less remarkable Intonation of American English. Gimson assured me that Jones thaut highly of him observing that they’d met and got on well together. There was no doubt that Pike valued Jones’s writings. Jones was quoted on 38 pages of Phonetics — more than any other author. By comparison Sweet was mentioned on 34, Bloomfield 20, Ward on 18 and others only considerably less. Terms subsequently so often used in the subject like air-stream, vocoid and contoid, stricture, emic and etic, velic, fortis and lenis, resonant and sonorant were in some cases coined and in others put into wider circulation by Pike’s influence. 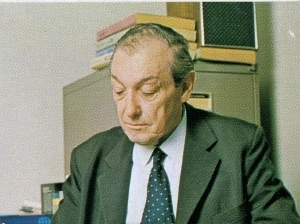 In later life Pike moved on to other linguistic fields, including what he called tagmemics, work culminating in the three volumes of his Language in Relation to a Unified Theory of the Structure of Human Behavior (1954–1960). I'm sometimes inclined to compare myself to a twitcher, watching endlessly as I do the comings and goings of words and pronunciations. Currently I'm brought frequently to wonder what's happened to the word "problem". Can it have taken upon itself some obscene connotation of which I remain in innocent unawareness. Over the last at least six months it seems to've been almost completely ousted by the cuckoo "issue". One other item I keep noticing is an apparent widespread increased reluctance to employ the perfectly respectable schwa weakform /əs/ of the pronoun "us". The sort of thing I mean is saying that eg This'll affect all of us with the pronoun as /ʌs/ when there's no contrastive implication. Can I be alone in both these impressions? Postscript: After months of wondering what might be the answer to my question about the sudden surge in the popularity of the word "issue" I've just heard Rob Cowan, the enthusiastic and well-informed presenter on BBC Radio 3, within hours of my posting that question interpose among his music offerings the comment that he has been so struck by the phenomenon that he's been counting remarkable numbers of occurrences of its use. So I'm not quite the lone crank I thaut I might possibly be!